Twinkle Towns by Melania, Nichol and Laura! 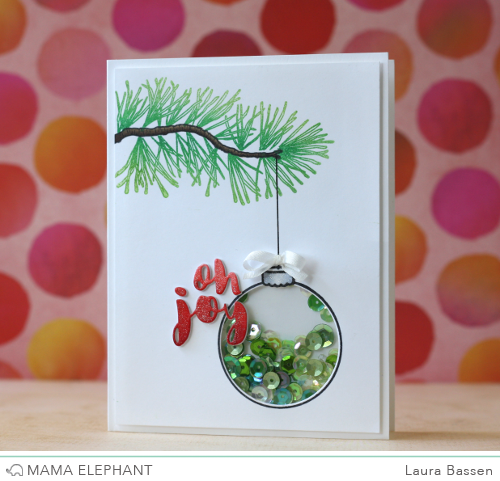 We love how Laura turned the ornament into a festive shaker. 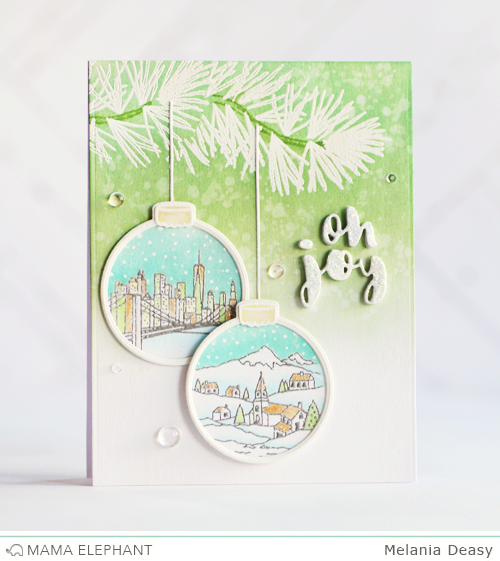 Deasy created ornaments towns with white and silver embossing powder. It turn out festive and fun! 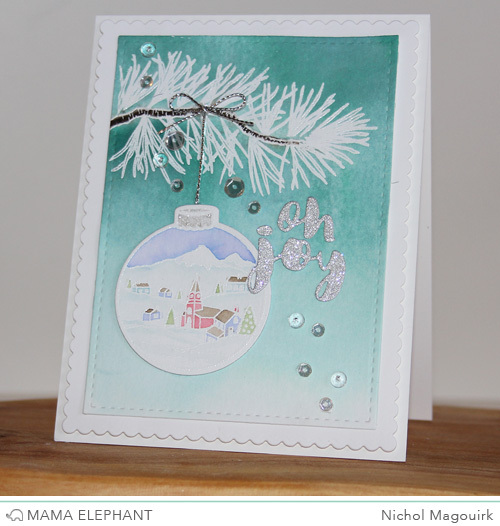 Nichol water colored the ornament with Distress Inks for a soft and pretty holiday card. Wonderful cards!!!! I love your design. Thanks for sharing. Wow--these are both stunning cards! OMG I love shaker cards!!! Just love all of them. These cards are all gorgeous! Good job ladies! Beautiful cards. This stamp and die set are great. I can't wait to get mine.